Alongside samplers, monograms are amongst the most classic embroidery motifs you'll find. You'll find them on handkerchiefs, shirt pockets or cuffs, hats, bags and more. Download and print free monogram patterns or create your own by following the easy tips below. And why not? They are such an easy way to personalize a gift or something for yourself. Monogram patterns come in all kinds of styles, ranging from simple and classic to flowery and ornate, and everything in between. Choosing a style is another great way to customize embroidery. Sometimes monograms are stitched with a set of initials and other times with just one letter. Stitching three letters with the initial of the last name in the middle is a traditional (and somewhat formal) style. 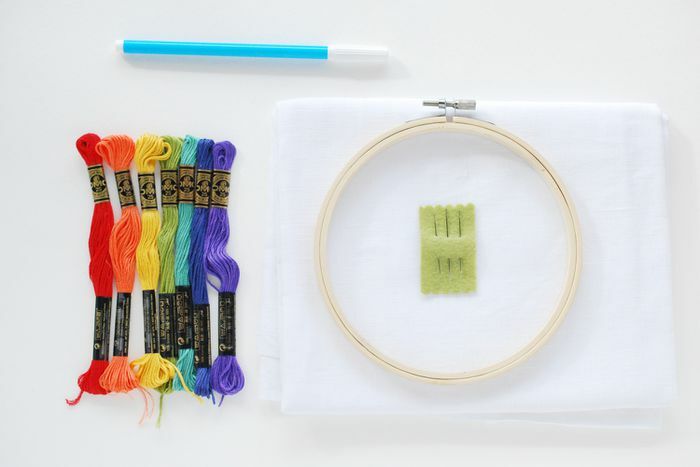 Embroidering first and last initials with french knot periods after each or stitching only one letter may look a little more relaxed and fun. These free patterns are simple and quick to stitch, and while they are in a script type, they're casual enough for everyday use. To access the full-size patterns, download the JPG and resize as desired. Printing the image sized to fit on a US Letter size page will give you monograms that are a little over 1" tall. Use software or your printer's settings to adjust the size. 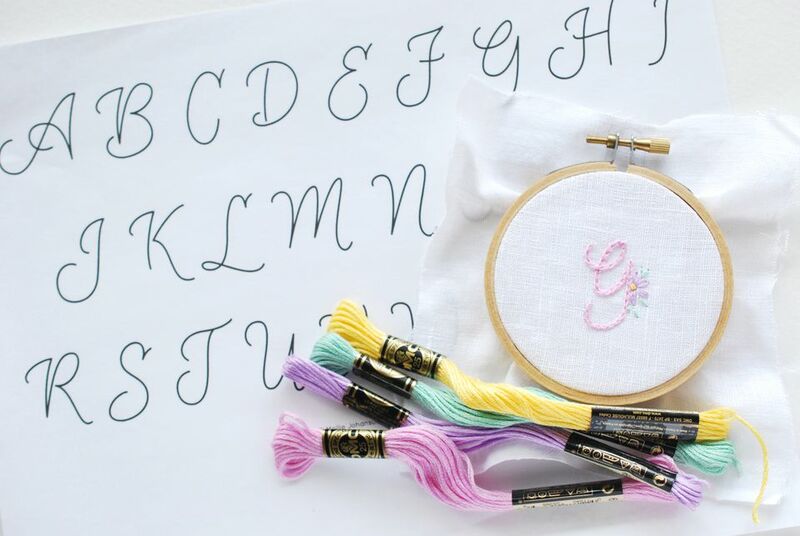 There's no reason why you can't stitch a giant monogram! Mark the letter(s) you're using on your fabric with the method of your choice, using water-soluble stabilizer or tracing paper for dark or thick fabrics. For more delicate monograms, embroider with 2-3 strands using stem stitch. 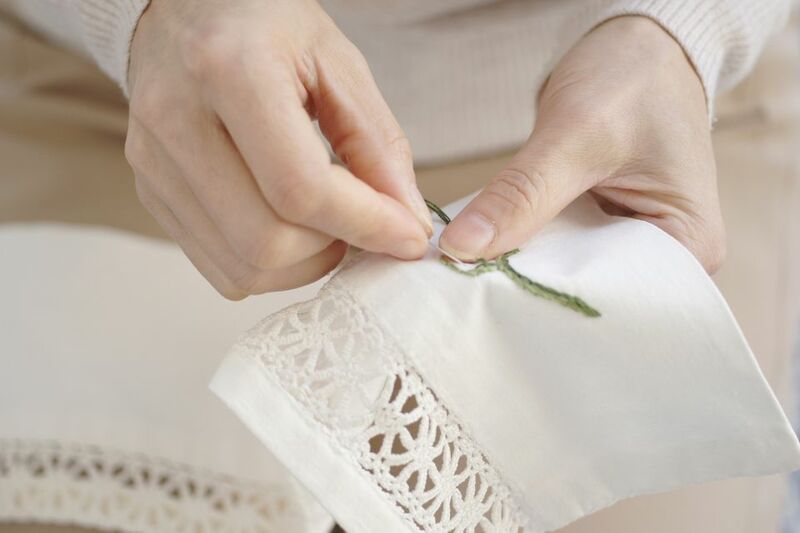 For a fuller look, try stitching with more strands or in a chunkier stitch like chain stitch. Whipped back stitch would also work well. The letters in the free pattern are inspired by a free font called Euphoria Script and adapted to be more suitable for embroidery. Of course, you can do this yourself to create monogram patterns. Type the letters you want to use and then print them out at the size you need. Place a piece of tracing paper over the printed monogram. Trace the outline of the letters. In some cases that might mean tracing around the entire letter shape and filling in the letters with satin stitch. Other times, it's helpful to only trace a single line, even over thicker parts of the letters. This is your chance to make the letters exactly how you want them! If you want your monograms to be a little fancier, try enhancing them with more stitches. This example incorporates a half lazy daisy with a french knot in the middle and some straight stitch leaves. You could also add more flowers, a little row of french knots along one edge of the letter, or a few twinkle stars made with straight stitches. Of course, those are just a few ideas to get you started. Be as creative as you like! Additionally, these letters would be beautiful within a simple or more complex border.